A firm favourite from the Winter collection the Kelsall jacket is a traditional style parka with modern scoop back hem and drawstring waist to give a flattering silhouette. A high collar and detachable fur hood will keep you feeling warm in the coldest weather and medium-weight Sylkoil wax offers great protection in adverse conditions. 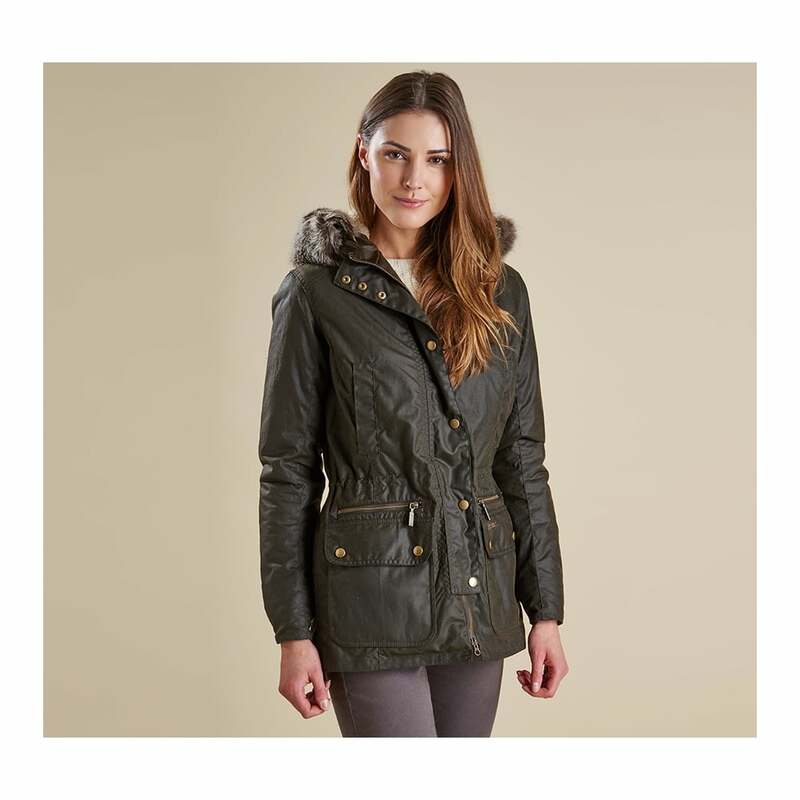 Metal poppers and zip details give a classic Barbour finish whilst a tartan lining provides a touch of colour. Jacket arrived very prompt.\nPacked really carefully....\nVery pleased .. \nHave ordered from Nicholls \nBefore .. \nOne very satisfied customer.